Do you want to use 3D printing? If your answer is “yes”, you will first have to create a 3D model. To make this 3D model, you will have to use CAD software and/or 3D tools in order to make sure that your file is actually 3D printable. These programs will help you to make the most of 3D printing and avoid some common errors that could make your file non-printable. What are the most important tools to use while creating a 3D model for 3D printing? 3D and CAD software offer a wide range of 3D tools, allowing you to give life to all of your projects, from mechanical to architectural ones. But first, if you want to make the most of 3D printing, you will have to use the right tools to make your file 3D printable! Preparing a 3D model for 3D printing can be difficult, especially if it is your first time and if you don’t know the best practices yet. There are a lot of aspects you need to take into account. There are a few basic errors leading to non-printable projects. Some of these tools could totally help you to avoid these problems. You might be a really good designer and create nice 3D models, but are you able to spot all the errors that could make your file non-printable? Some tools are particularly adapted for desktop 3D printers, while other ones are made for bigger printers, using powder-based fusion technology. Most of these tools are available for everyone. What tools will allow you to make printable models? Let’s discover them right now. Sculpting, modeling, painting tools. Design software will be your first tool if you want to create your project from scratch. All of these amazing features will help you to make the best 3D modeling object. We recently made a selection of the best free CAD software. You might be more interested in finding the best software for your activity sector; check out our selection of the best software for architecture, mechanical engineering, or for healthcare. Modifying your 3D model can be essential. In what case would you need an STL editor? You might, one day, download an already-made 3D model. Indeed, a lot of libraries or marketplaces are available online. But what if you need to do a little modification on your file before 3D printing it, to adapt it to your needs? Here, you might need an STL editor. You won’t need to 3D model a whole project but just edit an existing file. Some CAD software have great STL editing features that you could use, like SketchUp or Blender. But, you can also use mesh editing software like meshmixer, which might be great to edit your 3D project before the additive manufacturing process. You downloaded a nice 3D file or just finished 3D modeling your project and you are already sending it for 3D printing. It might be a big mistake, as some errors might be present in the design. Don’t know how to spot these errors by yourself? Don’t worry, you can use STL analysis and repair tools. To get a quick and efficient analysis of your 3D model, in order to know if it is printable or not, you can use our online 3D printing service! While uploading your file, you can, for example, use our solidity check: this tool will tell you if your model is too thin to be printed and could break during the process. You can then use the thickening tool to thicken your part automatically. It could also tell you if the model has errors and can’t be printed, it identifies the problems and tells you if you need to rework on it. But you can also use CAD software, offering these analysis and repair features like Meshlab, Blender, FreeCAD, or Meshmixer. Using a free STL viewer is an excellent way to examine a model and you will not have to use any 3D modeling software. You can, for example, use ViewSTL or 3D-Tool Free Viewer. But there are also some CAD software offering great STL viewer features. How are these STL viewers useful for your project? They are enabling you to check the structural integrity of your parts. Thanks to this tool, you could spot errors by yourself before the 3D printing, it will definitely ease your work. A slicer tool is a great tool for your 3D printing projects. Why can it be so important for your 3D printing project? Actually, the 3D printing slicer prepares your model for your 3D printer, by generating g-code. A slicer tool cuts the model into 2D layers and sends the instructions for how the printer should print each slice. You will only need this tool if you want to use a desktop 3D printer. But if you use an online 3D printing service, the process will be way easier for you and you will not even need a 3D slicer! What software should you use to make the most of the slicer tool? 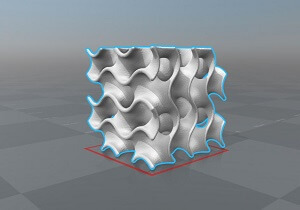 Cura has a really accessible slicer, perfect for beginners, and so does SelfCAD. Some programs like KISSlicer (for Keep It Simple Slicer) or Simplify 3D will allow you to access advanced slicing features. Siemens PLM software recently announced the launch of an additive manufacturing process simulation tool. 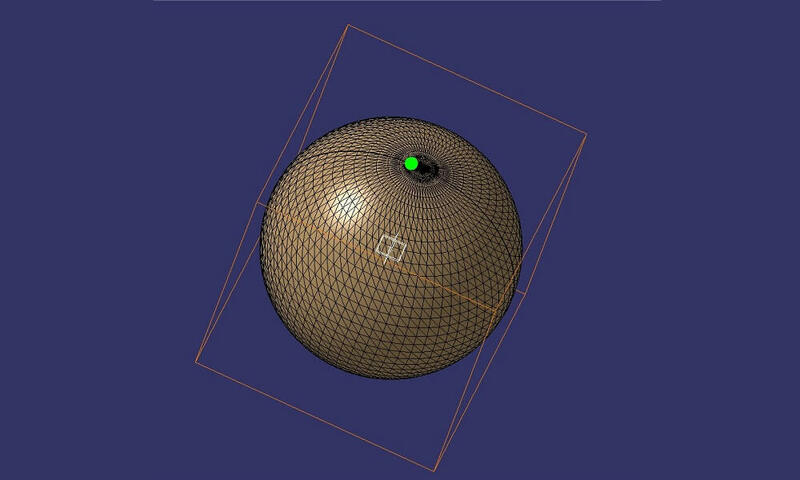 This new tool allows predicting distortion during 3D printing. This will optimize your 3D printing process. The feature anticipates of distortion and will be able to correct the geometry of the model in order to avoid the distortion during the 3D printing process. It gives you complete information about each step of the printing process. This feature will be available in January 2019 as part of the latest NX software and Simcenter 3D software. Do you know more software tools which could be useful to create successful 3D prints? Share it with us! If you are looking for a great way to 3D print your files, don’t hesitate to upload your 3D file on our online 3D printing service. You will get an instant quote and receive your part in a few days. Subscribe to our weekly newsletter to get all the news about 3D printing and 3D software.